A historically famous jewelry lover, Marie Antoinette wasn’t known for her ability to rule fairly but certainly yielded power when it came to what she wore. Even 200 years later, her fashion choices reign supreme. 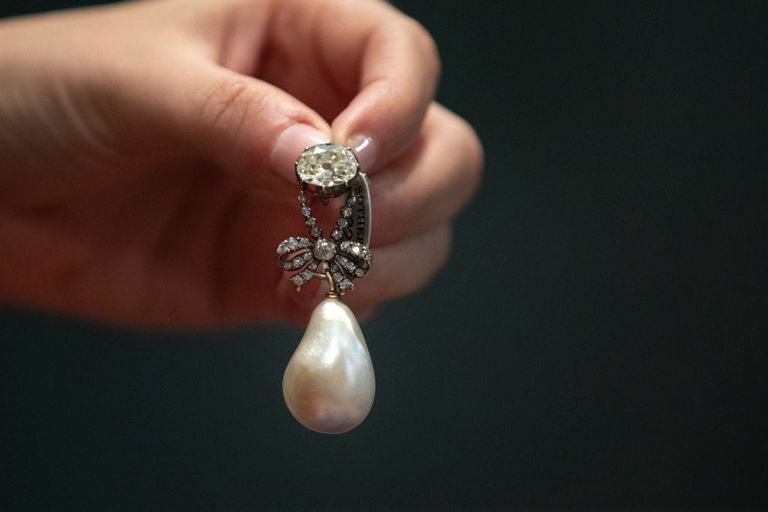 A pearl and diamond pendant belonging to the French Queen Marie Antoinette has been sold for $36m in what Sotheby’s auction house is declaring a world record for a pearl. It was part of a major collection of jewellery sold by Italy’s royal Bourbon-Parma house. Some of the jewels had not been seen in public for 200 years. The pendant more than tripled the previous world auction record for a pearl, which was held by a necklace that once belonged to Elizabeth Taylor. Additional auctioned items from this ill-fated Queen include a diamond necklace, a pair of pearl and diamond earrings as well as a monogram ring with a lock of her hair.